Described by critic Mark Kermode as… “A visually stunning and formally adventurous swirl of pure cinema” Mark’s previous film Bronco’s House was his first foray into hand-processed celluloid narrative filmmaking. The film screened at festivals worldwide and was a finalist at The Chicago Blow Up Festival. 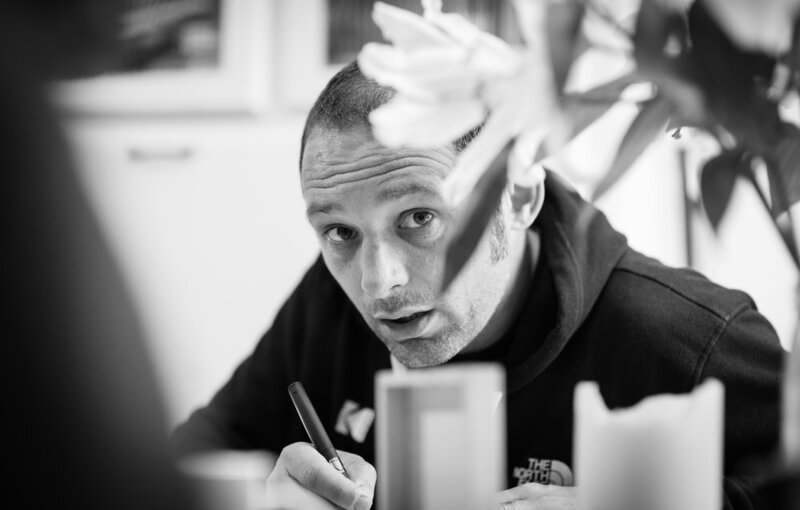 His handmade short film works have been promoted by the British Council since 2016 with The Road to Zennor being awarded the Best Experimental Film prize at the London Short Film Festival in 2017, and The Essential Cornishman being given an Honourable Mention at the Berlin Experimental Film Festival the same year. His latest short film Vertical Shapes in a Horizontal Landscape, screened in competition at the Dinard Film Festival, BFI London Film Festival and Aesthetica Short Film Festival in 2018. The recipient of the Nick Darke Award for Writing (2014) Mark is currently developing a biopic of St. Ives painter (and great, great, great Grandfather) Alfred Wallis. He is an associate of Falmouth University where he lectures Film, is the author of the Silent Landscape Dancing Grain 13 Film Manifesto, and is a member of The Newlyn Society of Artists. 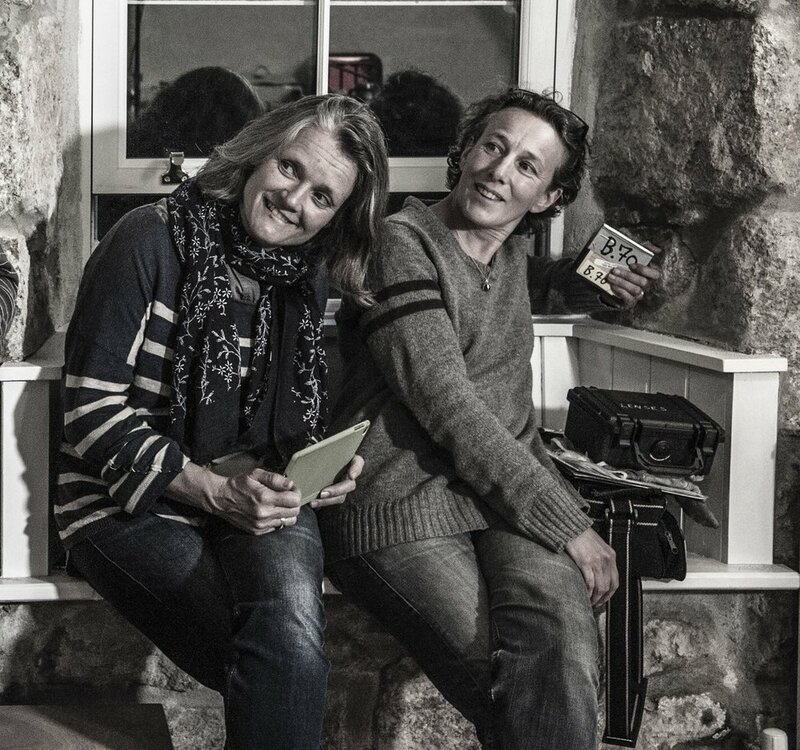 Kate and Linn are the founders of Early Day Films Limited. BAFTA award winning producers they brought together the finance for Bait to shoot exclusively in Cornwall in Autumn 2017. They forged partnerships with Kodak and Falmouth University who were excited for the potential to be working with Mark and an independent production company. As producers they are fully involved with all aspects of film-making from the seeds of an idea to marketing. Collaborating with Mark, Early Day executive produced The Road to Zennor (Best Experimental Film prize, London Short Film Festival in 2017) and Dear Marianne, The Essential Cornishman, Tomato, David Bowie Is Dead and Vertical Shapes in a Horizontal Landscape (in competition at the Dinard Film Festival, BFI London Film Festival and Aesthetica Short Film Festival 2019). They completed production on Hard, Cracked The Wind, a ghost story short film with Mark in late 2018. Early Day Films has a number of feature films in development. Denzil is a prolific creative producer with two decades of professional experience across the film value chain. Previous work includes The Man Engine (voted UK’s Best Arts project 2017), producing Mark Jenkin’s Bronco’s House (2015), Happy Christmas (2011) and Brett Harvey’s award-winning debut black comedy Weekend Retreat (2011). Previous roles include CEO at Western Light Pictures, Executive Producer at Dogbite Film Studio, MD at awen productions, Senior Producer at Chew TV, Executive Committee Member at Celtic Media Festival and Chair of Cornwall Film Festival. 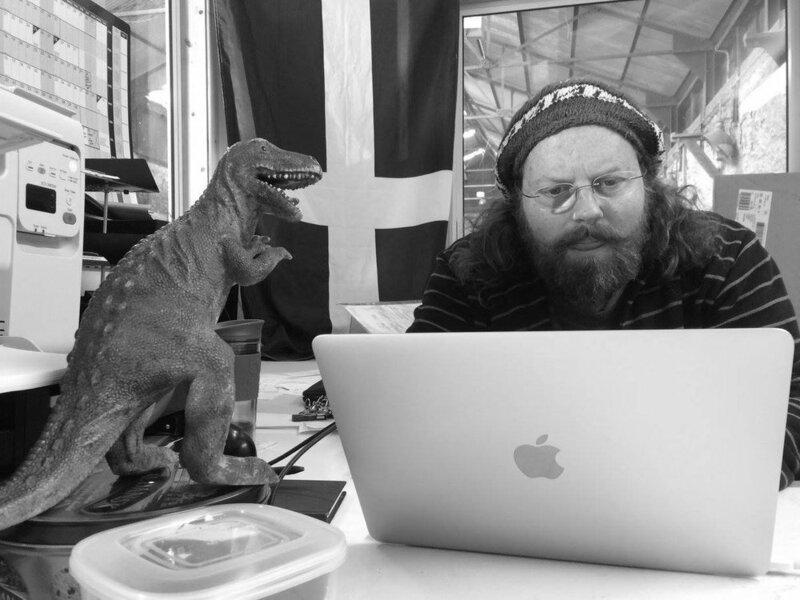 Denzil is COO at digital distributor Cinegi, a Lecturer in Film at Falmouth University and a Bard of the Cornish Gorsedh. Mark Jenkin’s short movie about the Cornish housing crisis was crafted by hand at every stage, so it was a genuine pleasure to see it projected on film for the first time, and to anticipate more analogue marvels in the future. … Contemplating the economic and housing crises facing Cornish fishing villages, Jenkin plays around in the edit with pace and uses post-synched sound with aplomb, constantly disrupting the viewer’s sense of space and time yet still exacting verisimilitude. References are both stark and subtle: an overt homage to Andrei Tarkovsky’s Stalker(1979) comes in the form of a character slowly dragging a plate across a dinner table using her mind, while Bronco, our homeless protagonist, is physically and psychologically displaced, motivated by desire and despair in a Zone-like (un)earthly place. Encounters also screened two of Jenkin’s much shorter, more playful works: Dear Marianne (2016), a nostalgic travelogue narrated in the form of postcards sent from a Cornish relative visiting Ireland, and The Essential Cornishman (2016), which sees one village’s last Cornish fisherman at work. All told, Jenkin’s films clearly make the case for the future of photochemical film as an artistic and exhibition medium.